Check out the Book page for an excerpt and ordering information. Collegiate Softball Connection CSC offers "concierge" recruiting services. For details, visit the CSC page on this site or download a brochure. Recruiting News Updates on guideline changes from the NCAA or NAIA! Last updated April 2019. 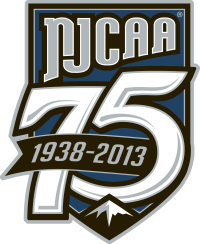 NCAA D-I initial contact date to remain Sept. 1 of the junior year. 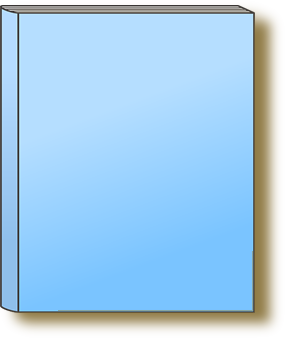 Articles Information relating to all aspects of the college search for athletes. Recruiting FAQ Q & A related to recruiting and the college search process. Post your recruiting questions here! Calendars Suggested recruiting schedules for high school players. Phone Consultations If you have questions about your college search, schedule a phone consultation and have access to the most objective recruiting advice available! Just email info@fastpitchrecruiting.com. This page is designed to help college-bound softball players gain a competitive edge while searching for the right college. The information provided here will help athletes as well as their parents and coaches. CSC has been educating families, empowering athletes, and ensuring players conduct a successful college search for over 25 years! If you're the parent of a softball player who dreams of playing in college, chances are you've heard every version of recruiting hype there is! All too often, these statements turn out to be misleading. But by the time parents figure this out, it's usually too late. Multi-sport, corporate services and for-profit recruiting camps want you to believe being recruited is as easy as writing a check. Only Collegiate Softball Connection works one-on-one with families to help you navigate the complex maze that is the college search. Let CSC help you or your player beat out the competition and find a spot on a college team. Families have three levels of service to choose from. With the Fast Track and Head Start options, you receive personalized guidance through the college search from noted recruiting expert Catharine Aradi along with an introduction to between 450 and 500 colleges at all levels of competition. Travel teams and younger players can choose the Basic Connection. This offers a low-cost way to expand a player's (or a an entire team's) exposure opportunities. For more information on CSC services, call CSC, email info@fastpitchrecruiting.com, or download a brochure! If you or your parents have recruiting questions you would like answered by an expert, phone consultations are also available! I'm Catharine Aradi, softball recruiting consultant and owner of Collegiate Softball Connection. For over twenty years, I've worked directly with several thousand softball players, and I have helped many more through my book, Preparing to Play Softball at the Collegiate Level. If you have recruiting questions or comments, please email: info@fastpitchrecruiting.com. 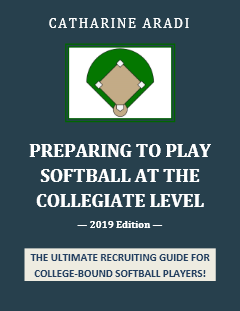 THE 2019 EDITION OF PREPARING TO PLAY SOFTBALL AT THE COLLEGIATE LEVEL IS NOW AVAILABLE! TO ORDER, CLICK HERE! IF YOU APPRECIATE THE CONTENT OF THIS WEBSITE AND WOULD LIKE TO ENSURE IT CONTINUES, DONATIONS ARE WELCOME. SIMPLY CLICK THE LINK ABOVE.